The wonderful twin-island of Antigua & Barbuda offers you laid-back elegance, turquoise waters, luxury yachts and celebrity residents. Antigua is one of the most beautiful islands in the region with a brand new airport, it’s the regional flight hub and has better financial and physical infrastructure overall. There is a good size international community here including many Europeans, and as a result, there are some excellent restaurants on top of the 365 beaches, natural beauty, etc. The population of Antigua is still relatively small at only 85,000 however it has been a high-end tourism destination for 70 odd years and remains unspoilt while offering many of the conveniences smaller islands can’t. 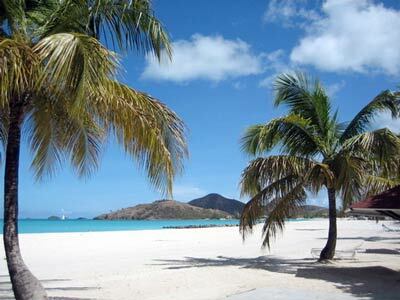 Another consideration is safety, statistically, Antigua is one of the safest in the Caribbean. It is no surprise a mix of internationally famous politicians, entertainers, and fashion designers live here in some of the most beautiful homes in the Caribbean. The benefits of citizenship in Antigua and Barbuda are numerous; you can reside in one of the most elite destinations in the west. The taxation and travel benefits hold substantial appeal. The Antigua & Barbuda government allows citizens to hold dual citizenship, and the acquisition of citizenship is not reported to other countries. You and your family can be granted citizenship in the British Commonwealth nation of Antigua and Barbuda. This passport provides you visa-free travel to approx. 145+ countries, including UK, Canada, EU Schengen zone and most other British Commonwealth countries. 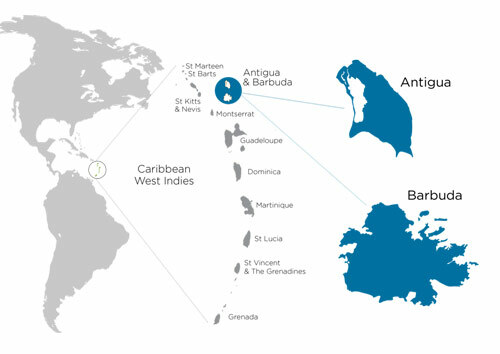 Antigua & Barbuda is the only Caribbean passport to offer Visa-Free travel to Canada. After five years, your Antigua real estate is eligible for resale to new citizenship applicants. Your property and also your citizenship in Antigua and Barbuda represent security for you and your family. With growing food production and green energy sectors, and the natural ingredients for true self-sustainability in the future, the Caribbean holds significant advantages as a second home region. Antigua and Barbuda has no capital gain or estate taxes, income generated outside of the country is not taxed. The residency requirement in order to be deemed tax resident is currently 180 days per year however this is due to be reduced to 30 days this year making Antigua and excellent option for anyone wishing to switch tax residency and remain highly mobile. Antigua has no income tax, capital gains tax, or inheritance tax, making it a very favourable home base. USD 400,000 investment into an Approved Business. The preferred option is Antigua real estate. 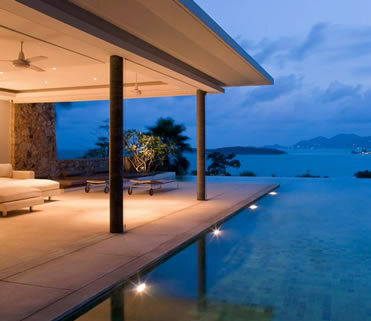 The real estate cannot be re-sold until 5 years after the purchase, unless purchasing an alternate officially approved real estate property in Antigua and Barbuda. You and your spouse, your dependent children (up to 25 years) and parents and grandparents above the age of 58 can also obtain citizenship under one application with additional government fees payable. You will get your Antigua and Barbuda passport after 2-6 months from the submission of your application. Antigua is not Terra Incognita for wealthy people. Celebrities have been choosing this tiny Caribbean island as investment playground, a place for the second home, or just vocational spot for many years. Among the famous residents of Antigua and property owners - Eric Clapton, Oprah Winfrey, Giorgio Armani, Domenico Dolce and Stefano Gabbana, and many others. Mariah Carey, Cameron Diaz, Paul McCartney, Eddie Murphy can be easily met on Antiguan beaches and in world-class restaurants. Roberto De Niro was named as a special economic envoy for the twin-island nation in 2014 when he and Australian billionaire James Packer announced the US$250 million Paradise Found hotel project in Barbuda. But not only celebrities are affected by Antiguan charm. The twin island nation attracts more and more entrepreneurs from the North America, Europe, and the Middle East, who find here a fertile ground for their investments.